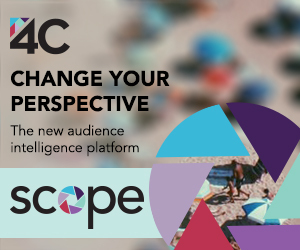 Posting videos also appears to be an activity for the more affluent, as 43% of online adults with $75K or higher household income now post videos online. 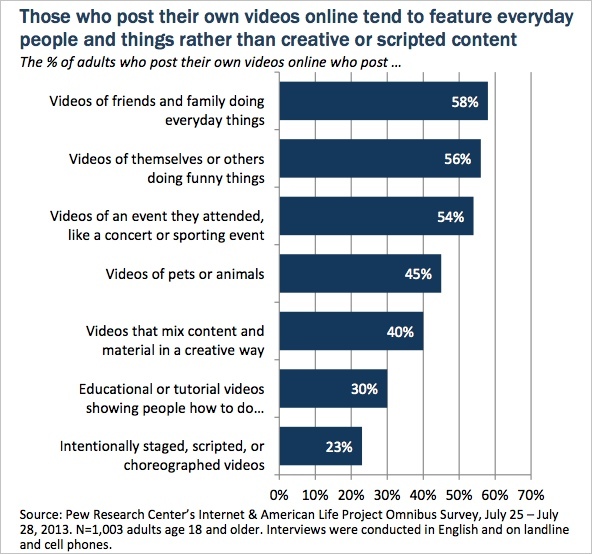 Further, 35% of adults posting video say they do so hoping it will go viral - equal to 11% of all adult Internet users. Those posting must think snippets of their lives are pretty interesting, because the most popular type of videos being posted are of friends, family or others doing everyday or interesting things (see chart below). Who says user-generated content (UGC) is dead?! Pew ascribes the rising popularity of posting videos primarily to the explosion of social media and secondarily to mobile phones. Among adults posting videos online, 71% do so on social sites, translating to 22% of ALL adult Internet users posting videos on social sites. 45% of this group also watches videos on social sites. Pew also found that 64% of 18-29 year-old mobile phone owners use their devices to record videos (compared to 23% for 50-64 year-olds) and 38% of 18-29 year-old mobile phone owners use them to post videos (compared to 7% for 50-64 year-olds). Last, mobile video apps seem to be taking off, with 23% of adult Internet users who have posted a video saying they used this type of app (note that Twitter only launched Vine in late January, 2013, and the new Pew research was done just about 6 months later, in July). In addition to the data on video posting, the Pew research also includes lots of good data about online video viewing. Below is a short video of research highlights.